The Maus tank is almost legendary in its reputation and mystique, but it was very real and even may have seen combat. 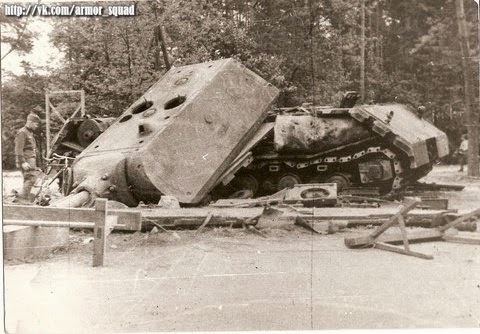 Another of the Germans' late-war attempts at shuffling the deck and getting back the advantages they had lost during the war, the Maus was an actual project that could have borne bitter fruit for the Allies. However, as with so many German weapons systems, it came too late and only served as distraction from Germany's dwindling military fortunes. 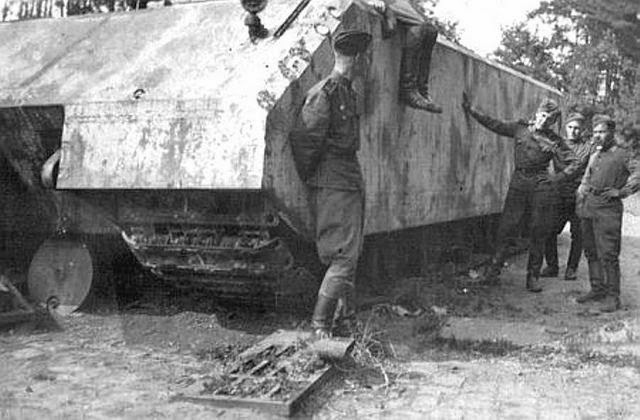 Soldiers admiring the Maus at Kummersdorf. The German tendency toward Gigantism in their weapons gathered speed as Germany started losing the war. There were valid reasons for it at times, but overall the trend worked against them. The Germans understood their industrial base and what it could achieve, but they still sometimes made the wrong choices. 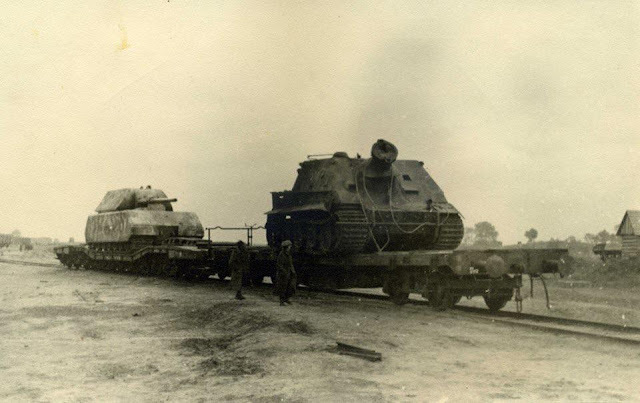 Maus V1 passing a KV-1 captured in 1941. 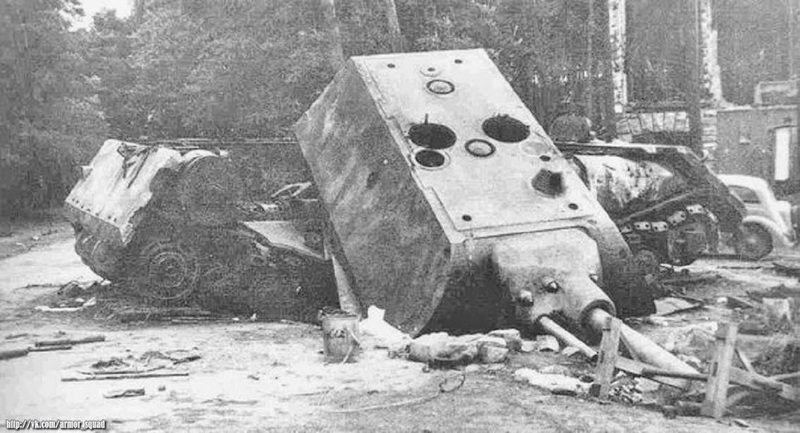 The soviet tank is demolished by several shots from AT guns and hollow charges. This is at the test fields of Kummersdorf. Note the Maus has no main gun and is still early in development. 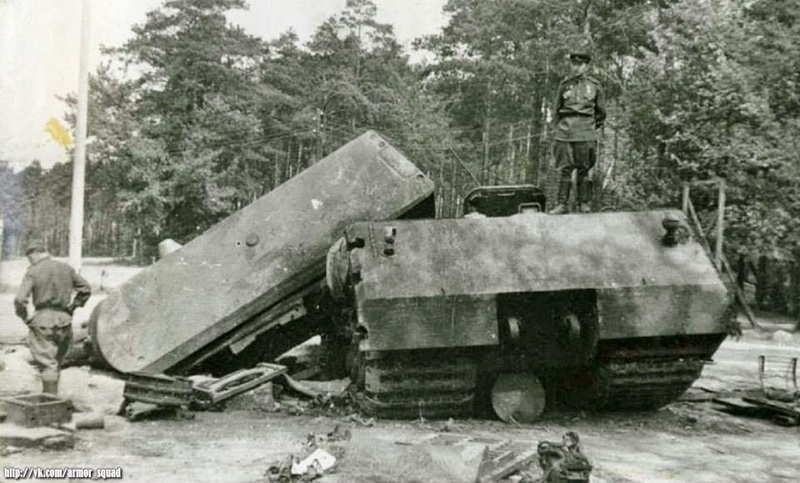 The Panzerkampfwagen VIII Maus (Mouse) super-heavy tank was one such poor choice. It came along very late in the game and was slated to be the heaviest tank in the world. What it would have accomplished even if produced in large numbers is extremely questionable. 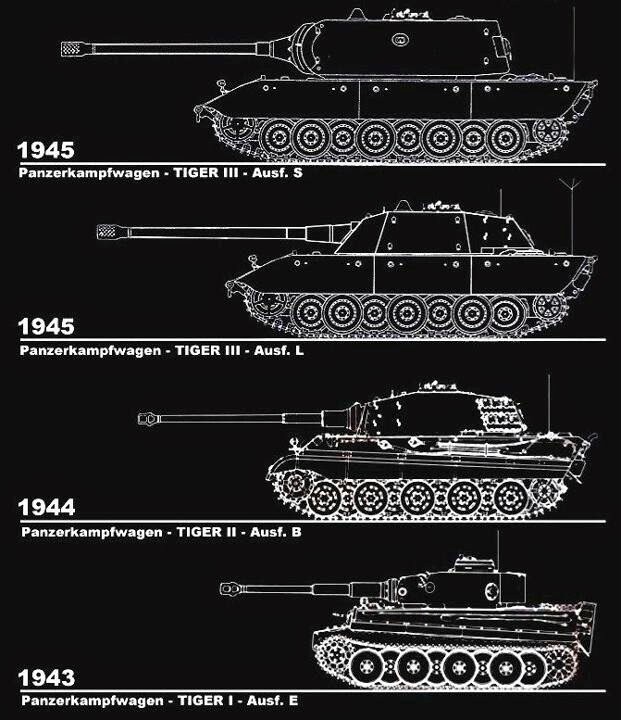 The Panther and Tiger, both worthy tanks, had come about on the recommendation of Panzer expert General Heinz Guderian after his close study of captured Soviet tanks. Guderian was not always the most capable strategist (his term as Chief of Staff during the final year of the war was disastrous from all sorts of perspectives), but he was the world's expert on tanks. There wasn't a man alive who understood tanks and their capabilities better than Guderian. The Panther and Tiger worked and were battle-winning weapons, a tribute to having the right man making the proper recommendations at the right time. 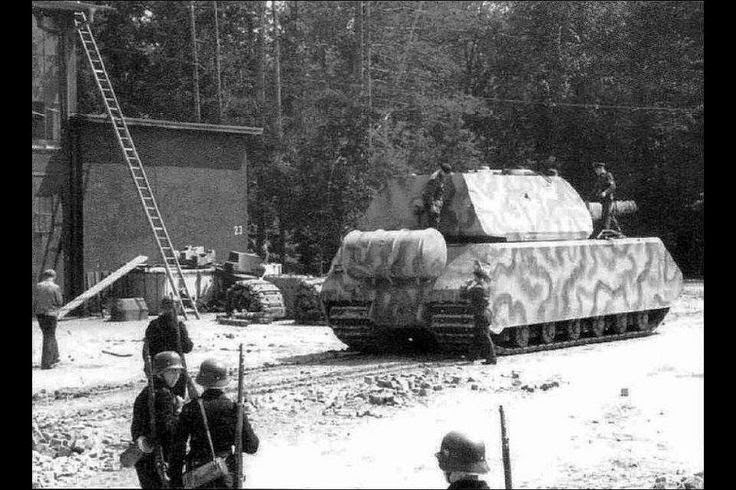 Most experts would agree that the Panther was more effective overall than the Tiger, but they both made a positive contribution to the war effort. Guderian, though, had absolutely nothing to do with development of the Maus, and it showed. Ferdinand Porsche had lost the competition for the heavy tank to Henschel, and he was devastated after all the work his company had put into it. The Maus was a way to make it up to Hitler. 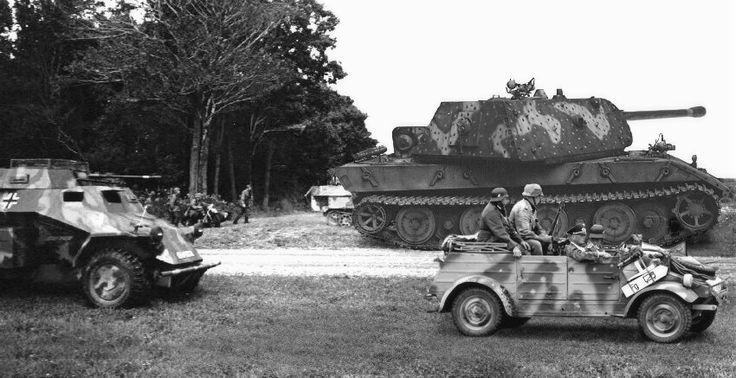 Panzer I's and II's were still in operation during the Battle of France. However, they were inadequate for combat against the Soviet Union. Both sides, not just the Germans, engaged in a race toward larger and more power tanks, a fact that is often overlooked when critics pounce on the German tank program. 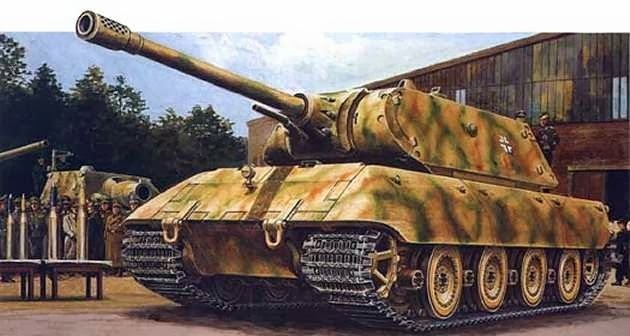 Being buddies with Hitler, he suggested to him a couple of months after losing the Tiger competition that what Germany needed was an even bigger tank. Naturally, he was the perfect man to come up with it since he had a head start on designing due to his work on the Ferdinand. Hitler, a fan of big weapons, agreed. In fact, there were plans for even bigger tanks, so the idea of the Maus was simply part of a broader move to larger and larger panzers. It was the next step in a seemingly inexorable progression from small to large. 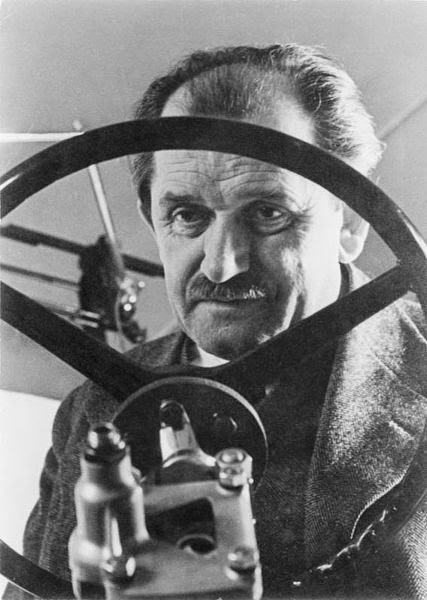 The problem was that Porsche, a brilliant man, was a little too smart; he tended to over-engineer simple weapons to the point where they sucked up scarce resources without providing a countervailing military gain. His designs were brilliant, but had too many moving parts and intricate interactions that would be insanely difficult to fix when they broke down for the small extra benefit they provided. In addition, they required materials that were in scarce supply in wartime Germany. In other words, Porsche's designs were great in the abstract, but not so good in practice. 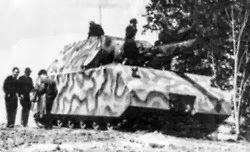 The Maus was a prime example, for everything about it reeked of impracticability, an abstract creation that would work fine on the factory testing ground and be impossible in the field. 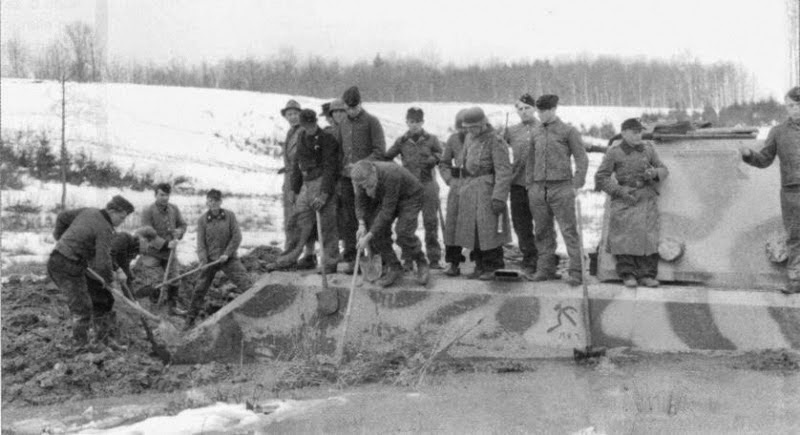 With Hitler's blessing, work commenced on the Maus. This time Porsche, facing no competition, took his time. This was an endemic problem in the German weapons development industry; in many cases, new, advanced weapons were not pushed to completion until the old ones completely failed and panic set in. There was no sense of urgency in a military situation where urgency was absolutely critical. It wasn't until May 1, 1943 that Porsche presented a wooden mock-up of his super-heavy tank. It was colossal, and Hitler loved it instantly. Panzerkampfwagen VIII Maus (Mouse) was a German World War II super-heavy tank completed in late 1944. 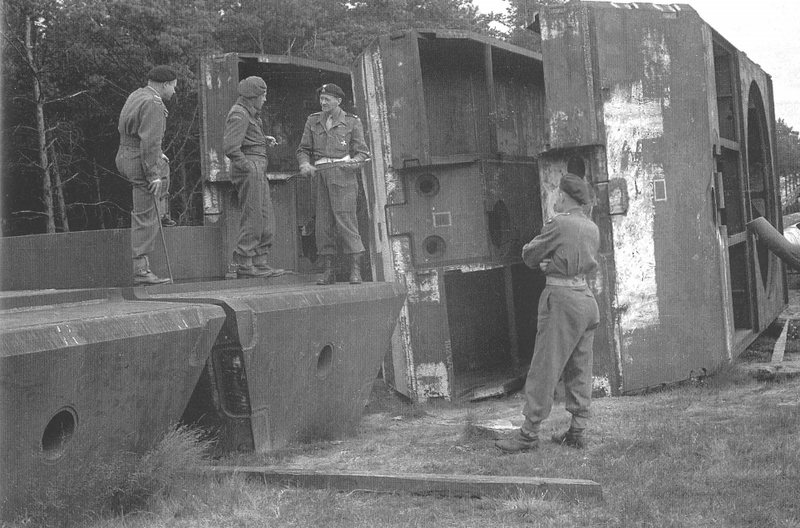 It is the heaviest fully enclosed armoured fighting vehicle ever built. In this photo in the background is the E-100, another experimental Super Heavy Tank in development at the same time as the Maus. On May 1 a wooden model of the "Maus", a tank project of Porsche and Krupp, was shown to Hitler. 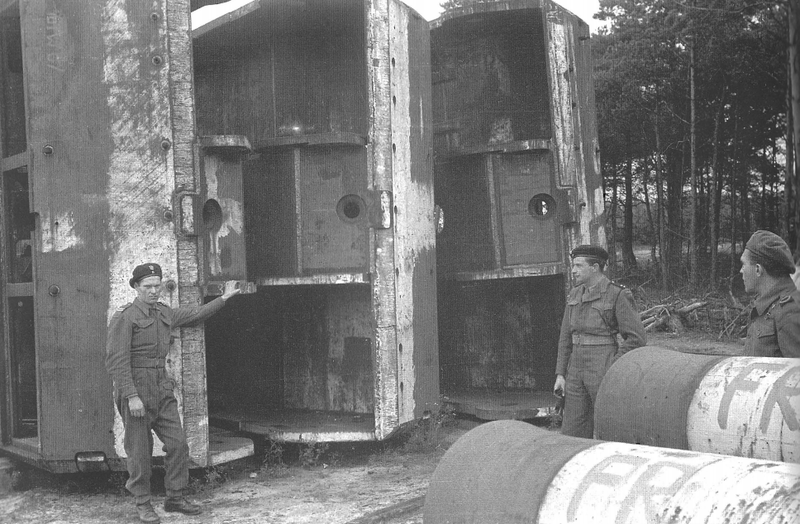 It was intended to mount a 150 mm gun. The total weight of the tank was supposed to reach 175 tons. It should be considered that after the design changes on Hitler's instructions the tank will weigh 200 tons. The model didn't have a single machine gun for close combat, and for this reason I had to reject it. It had the same design flaw that made the Elefant unsuitable for close combat. In the end, the tank will inevitably have to wage a close combat since it operates in cooperation with the infantry. An intense debate started, and except for me, all of the present found the "Maus" magnificent. It was promising to be exactly that, a "giant." For some reason, Porsche did not think machine guns for defense were necessary. This design tendency reflected a fantastical unrealistic dream that a big gun alone would simply scare everyone away or blow away all opposition. On display in Moscow. Note the two guns in the turret and absolutely no defensive armament. 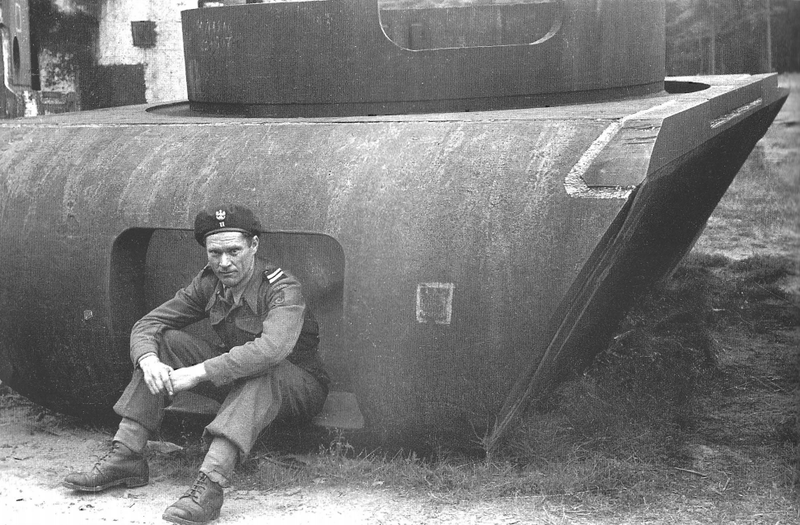 The Maus was big. A 150 mm gun is massive, though it may not appear so in relation to the immense body. Despite all of Porsche's technical innovations, it also hearkened back to an earlier era of tank construction. During World War I, the German tanks had tended to resemble castles, including just about everything but moats. 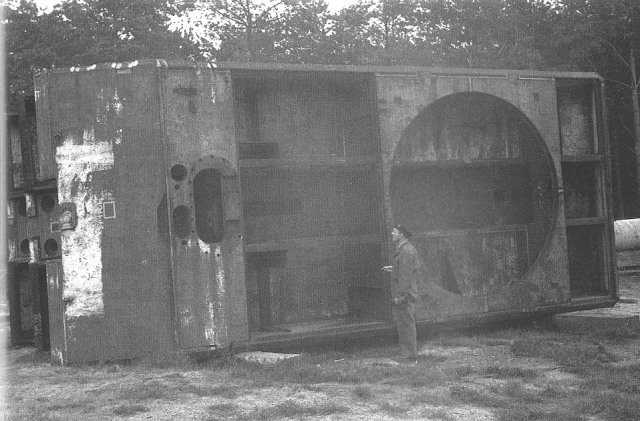 The Maus as finally developed had a mortar for close-in defense and actual portholes, like the windows of a castle, for the crew to fire rifles through. 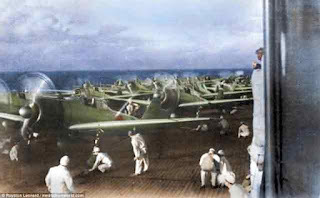 It was an insane, completely unrealistic project which would have drawn air attacks like honey draws flies. 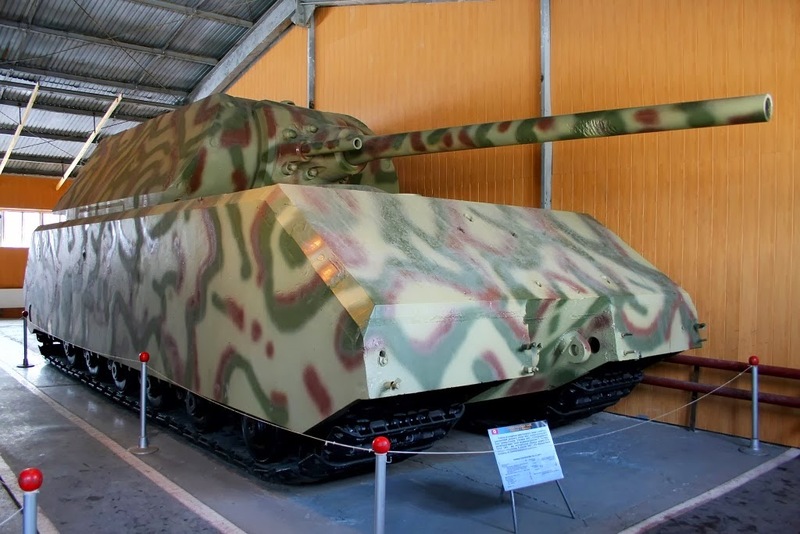 The Maus in its final form was extremely slow (only 20 km/h on road, 13 km/h or less on terrain), heavy (188 tonnes), and large (10.2 metres long, 3.71 metres wide and 3.63 metres tall). It had incredibly thick armour (200 mm front plate, 240 mm turret front), and two guns in the turret: a main 128 mm KwK 44 gun L/55; and a secondary 75 mm KwK 44 gun L/36.5. Its design reflected all the worries of the last two years of the war for the Germans. 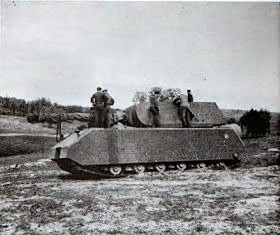 Whereas earlier tanks had a nice combination of speed and power, this rolling fortress was designed with the assumption that it would be absolutely pounded by enemy fire and have to use immense firepower to defend itself. The Maus design also focused solely on the military, and incorporated absolutely no consideration to where all that steel or gasoline to move this mountain of metal was going to come from, or anything else of a realistic nature. The Maus may even have been too big to slot into existing tank manufacturing plant assembly lines. It was the perfect dream machine for someone fighting for his life, hoping only for a static, impenetrable defense that could blow up anything it wanted with hardly any mobility (very few bridges could have supported it weight, so naturally it was to be fitted with a schnorkel like the Tiger tank) and scant chances of recovery should it break down. It hearkened back to the age of castles, of the desire for somewhere that you could just live in and defend without fear of molestation by outsiders. It reflected the demise of German imperialistic hopes and dreams, replaced by a rabid fear that the castle was under siege. The only operational or completed Tiger VIII Maus. With Hitler's (but not Tank Inspector Guderian's) approval his, Porsche quickly put together a couple of partial prototypes (V1 and V2). One was completed by March 1944, but the war was going badly and the German hierarchy had to face reality and put aside panacea weapons projects such as the Maus. It stopped all production of the fantastical weapon by August 1944. It was a question of "Well, we have this big thing... now what do we do with it?" On his own, Porsche continued working on the weapon, putting in an engine and otherwise making it functional. Imagine trying to dig a 188-ton thing out of the mud with shovels. It looks like a boat. 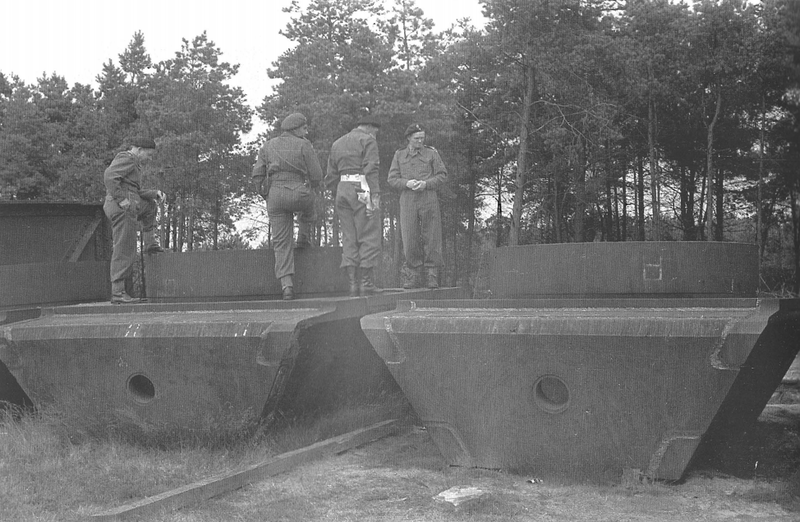 It remained at the Kummersdorf testing ground until the final days of the war, when the OKH (some sources say) ordered it their headquarters at Zossen south of Berlin for defensive purposes. There is no record of it actually fighting (it may have), and it may in fact never have left Kummersdorf, but we know that the Russians (or the Germans) blew it up just to make sure. It is unclear what actually happened at the end of the war, people were not taking notes, they were running for their lives. By combining surviving pieces of the two versions, the Russians managed to put one back together after the war, and it remains on display in Moscow. Sturmtiger and Maus ready for transport to the Soviet Union - the Maus is on a specially built railcar. 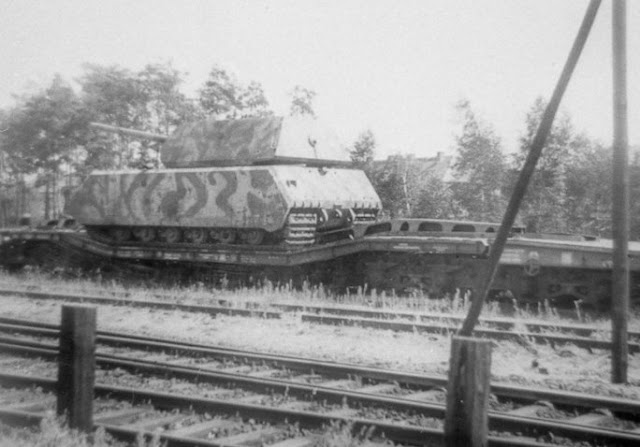 Note that the ordinary flatcar for the Sturmtiger is bowed at both ends. 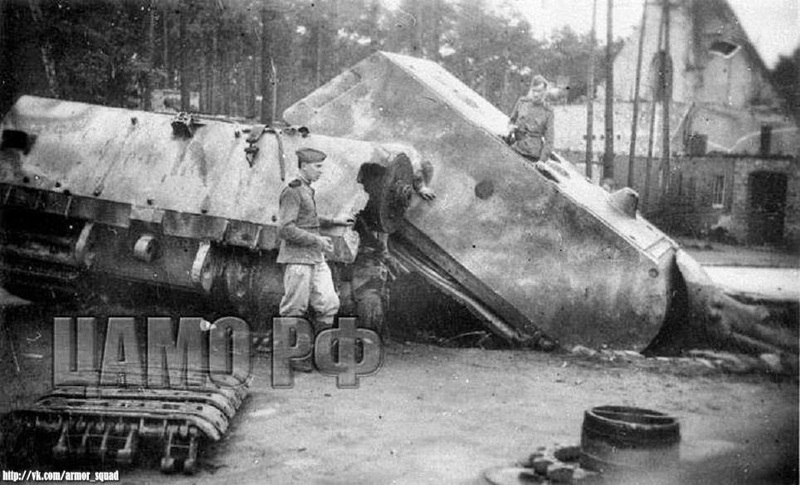 The only complete Maus was destroyed - the one shown (now in the Kubinka Museum) is Hull prototype V1 mated with turret prototype V1, originally mounted on the destroyed hull V2. 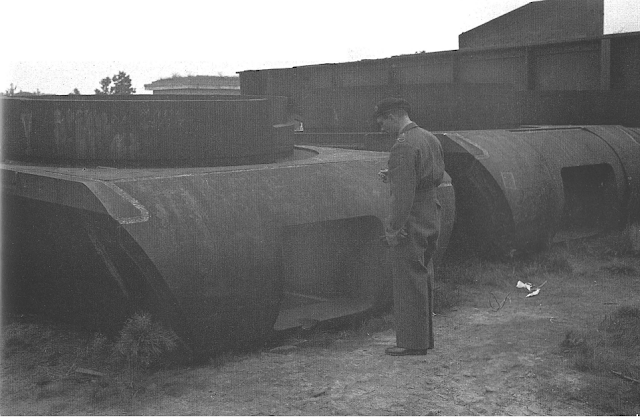 Apparently, only one turret was made., Hull V1 had a fake turret - but this one is real. The Maus retains deep fascination for some because of its uniqueness. In retrospect it is not as big as legend would suggest, roughly on a rough par with the KV1 (see picture above), a bit bigger. 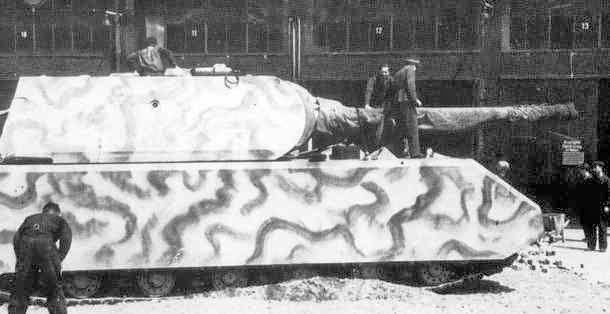 Another view of the Maus loaded on its special car at Kummersdorf. The Germans did at one point have plans for tanks that would have dwarfed even the Maus, but they never got behind a sort of "wishful thinking" stage and were cancelled by Albert Speer when he took over oversight of war production. 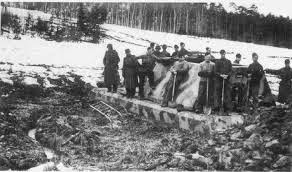 Maus - the second prototype captured by Soviets. On April 11th, 2014, WarGaming announced that they will co-operate with the Kubinka museum in Moscow to restore this sole remaining Maus to working condition. Considering it barely worked in the first place, that should be some chore. The Germans (apparently) blew this Maus up rather than hand it over to the Russians. You can see that enough was left to provide sufficient information to rebuild it, as long as you had a few cranes handy and a whole lot of steel. Speed: 13-19km/h (as usual, disagreement on this, but it definitely was slow). These numbers are hard to put into perspective. Simply as a comparison, the largest US cars of the early 1970s were roughly 20 feet long and 10 feet wide. The Maus was larger in both dimensions, about 30 feet long. 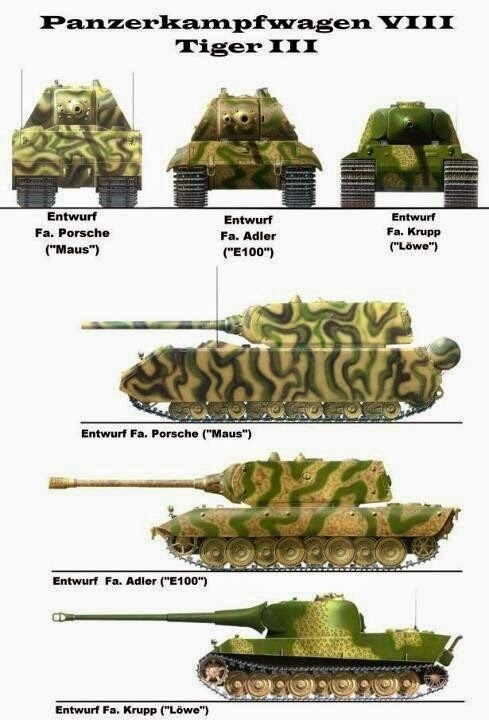 The Germans very much intended to put the Maus into full production. 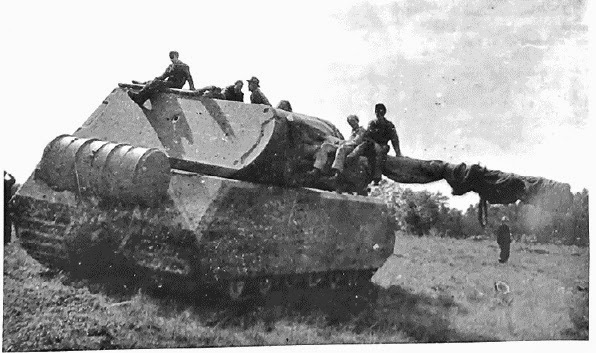 This is proven by the following series of photographs of Maus hulls captured by the Allies. The pictures show Polish troops, but the Soviets wound up with the goods. It is unclear what happened to all these parts. They likely were melted down for scrap like most other war debris. 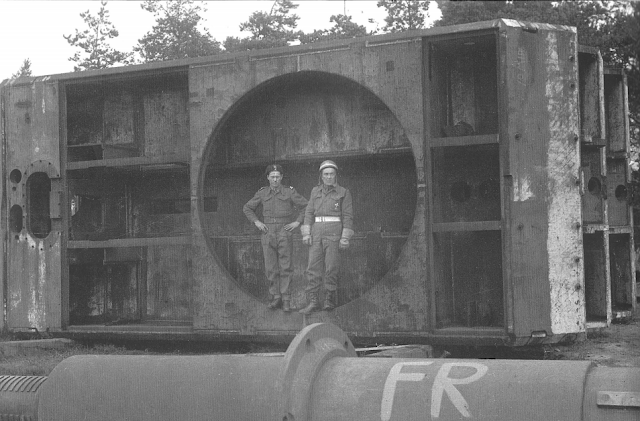 It is tough to judge scale from a picture like this, but there hasn't been another tank where a man standing in the hatch would look that small.